Growing Maine received a $2,500,000 Round Two grant award to develop degree and certificate programs in the areas of Sustainable Agriculture and Culinary Arts. 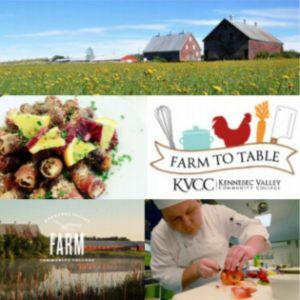 These two programs address a critical gap in educational offerings for individuals interested in pursuing employment in the growing “farm to table” industry in Maine. Offers the state’s only two-year Associates degree program for Sustainable Agriculture. Prior to this program, an on-farm apprenticeship or a four-year degree program were the only post-secondary options for developing new agricultural professionals. The Culinary Arts program is well-positioned to be a leader in promoting farm to table dining in the New England region.